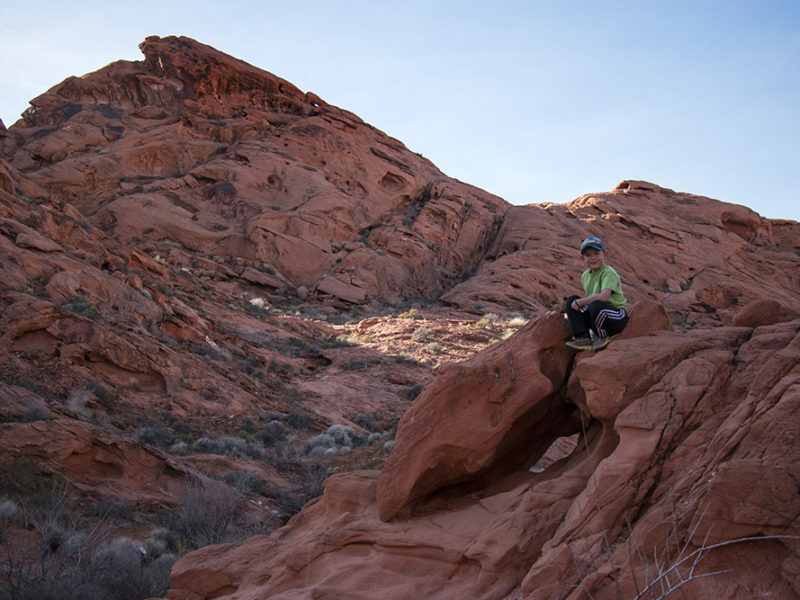 Mouse’s Tank is a fun, short trail inside Valley of Fire State Park in southern Nevada. The park is about an hour outside of Las Vegas. The trail is flat and sandy and mostly in the sun. 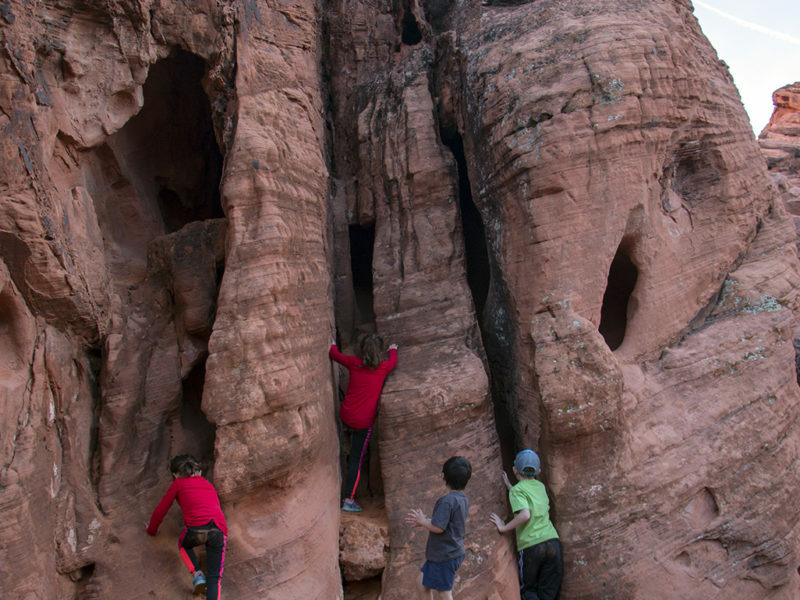 The trail passes a TON of fun rocks and little caves, perfect for young kids to climb and explore. 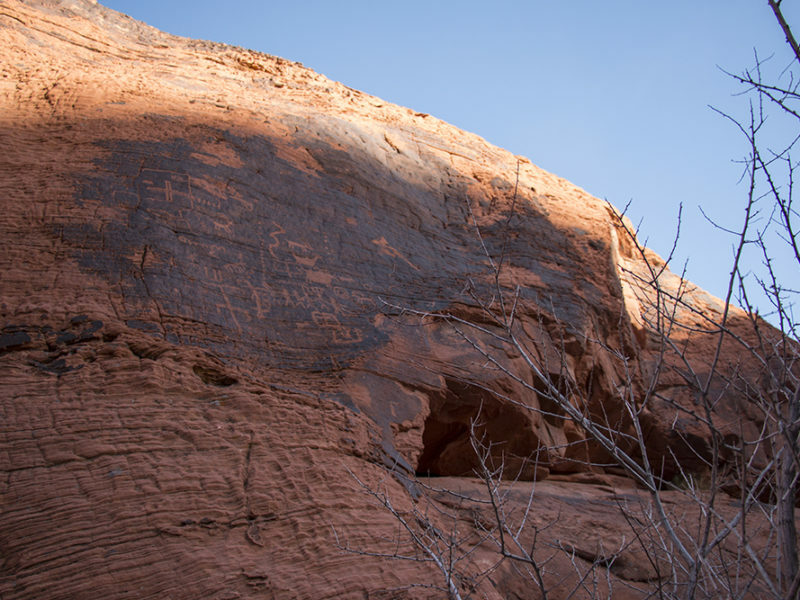 You can also see 2000-year-old petroglyphs in a few spots, carved into the rock. 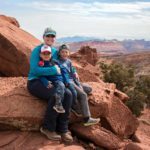 This hike is best explored in the cooler months. Summer temperatures can easily reach 120°F. 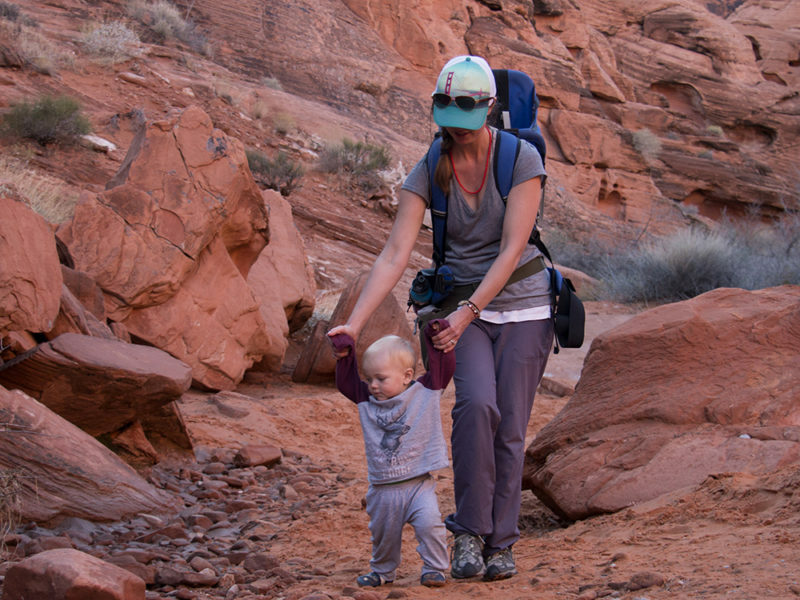 If you must hike in the summer, it’s recommended to go early in the morning or just before sunset and bring lots of water. 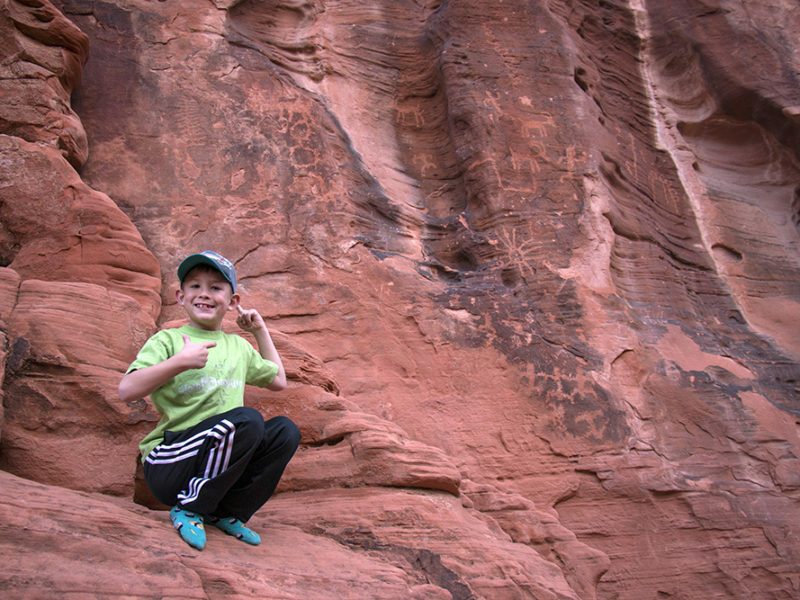 There are TONS of fun rocks for kids to climb on. The sandy trail is fun to play in too. Petroglyphs can be seen in a couple of spots. Makes sure you look up occasionally, some are up high. PLEASE don’t touch them! In the summer, temps easily surpass 100°F, often reaching 120°F. If you must visit during the summer, bring lots of water, even for a short hike like this. Also consider exploring early in the morning or around sunset. 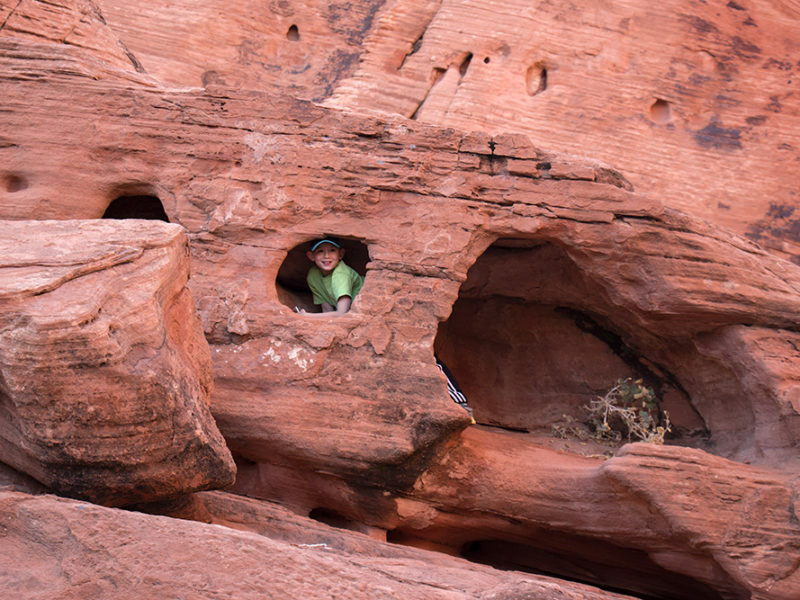 There is a visitor’s center at Valley of Fire State Park with info about the area. There are picnic tables and vault toilets at this trailhead. 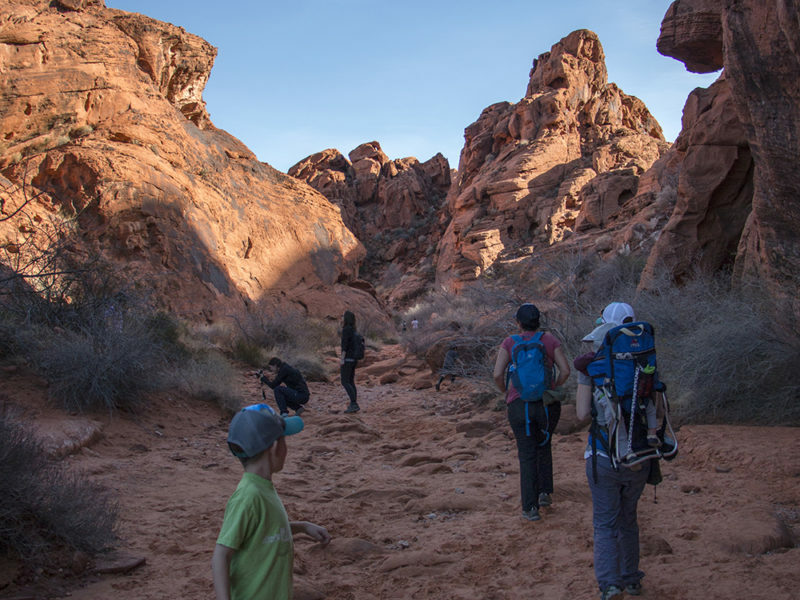 There is a $10 fee to enter Valley of Fire State Park. Parking is clearly marked.